I never quite got why people use drumming to get attention during street protests and promotions. Sure it’s loud and makes bystanders turn their heads… but mostly because it’s incredibly annoying. So with that in mind, if you’re absolutely set on promoting something with a company of drummers, could you at least refrain from doing it next to a theater? On Saturday night a group of marching drummers were playing their instruments to promote As One in the Park, a London gay music festival set to begin later this month. Unfortunately, the marching drummers went right past the West End’s Gielgud Theatre, where Dame Helen Mirren is currently starring as Queen Elizabeth II in The Audience. 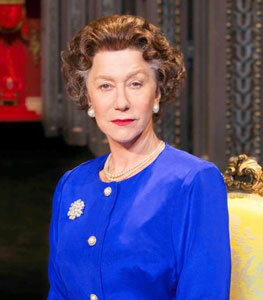 Naturally, Mirren reprising her Oscar-winning role as Elizabeth is one of the hottest tickets in town, so the packed house and Mirren herself were subjected to loud drumming from outside the theater during the performance. In college, overachiever Christopher McKittrick double-majored in Film and English because he loves to read, write, and watch movies. Since then Chris – who was born and raised on Long Island, New York and currently lives in Queens – has become a published author of fiction and non-fiction, a contributor to entertainment websites, and has spoken about literature, film, and comic books at various conferences across the country when he’s not getting into trouble in New York City (apparently it’s illegal to sleep on street corners...)For more information about Chris, visit his website here!